Welcome to the Narcotics Anonymous Hawaii website. This site is administered on behalf of the Narcotics Anonymous groups in the State of Hawaii through its’ Hawaii Regional Service Committee. On this site we publish information on Narcotics Anonymous in Hawaii, our Meeting Schedules, our Regional Convention, Area Gatherings, Social Events, our Vision and Mission statements, and how to Contact Narcotics Anonymous in Hawaii. If you are submitting an update for a meeting, use our change form here. 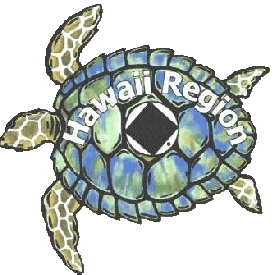 If you are submitting a Hawaii NA event for posting to the website, use our submission form here. For NA events outside of Hawaii, use our feedback form to send that information.